Ayurveda medicine is the native healing tradition that originated from the people of India and has been in use there for over 5000 years. Similar in some ways to native Chinese healing formula and logic, ayurveda goes a bit further to associate ill health with the state of a person's mind, emotions, and spirituality. That is, it does not approach illness as solely the result of inbalance in the body systems, but instead recognizes that complete good health of a person is the result of good health in the body, the mind, the emotions and consciousness. Ayurveda healing efforts will examine the proportion of body energy fields known as "doshas" in a patient, and uses it to identify root causes of defficiences in their health. Ayurveda tradition has identified three primary body energy types each with distinct functions and influences on a person's state of health. They are "vata energy" which controls emotions and spirituality, "pita energy" which affects body functions such as digestion, absorption of foods, temperature levels, and "kapha energy" which influences growth and the intake and disposal of body liquids and waste such as water. Defficiency in a particular body energy type will give rise to health issues peculiar to its inbalance. For example, intestinal problems will be the result of inbalance in pita energy because this energy influences digestion, and absorption of food. In this instance, ayurveda medicine will include ingredients to balance pita energy while also giving relief to the symptons until the intestine gets well and begins to function as it was designed. Ayurveda medicine takes a wholeness approach to healing. It recognizes that unseen forces play a big part in a person's physical health in the long run. This is the reason meditation and yoga are a big part of the prescriptions of qualified ayurveda medicine practitioners. Infact, making right a person's emotional and spiritual balance is usually the first focus of ayurveda medicine. They usually include ingredients for addressing the deficiency in spirituality or emotions identified as being responsible for the inbalance in health experienced by the person. Fear, anxiety, insecurity, defficiency in love, are some areas recognized by ayurveda as direct results of imbalance of one or more energy fields. If unchecked, these defficiencies eventually give birth to health issues that can be either physical, mental, or emotional. It has a long standing record of success, having been used successfully for over 5000 years. Ayurveda medicine is made only with ingredients from naturally growing herbs. They do not contain chemicals and additives that can be harmful to your body. They are effective for eliminating not only the symptons but also the cause of illness. It focuses not only on the body but also the mind, the emotions, and spiritual health. It is widely accepted and used in America and Europe due its success rate and scientific backing. A lot of it has been scientifically tested and found to be effective as remedies for various illness including arthritis, high cholesterol, heart disease, gastrointestinal illness, and others. 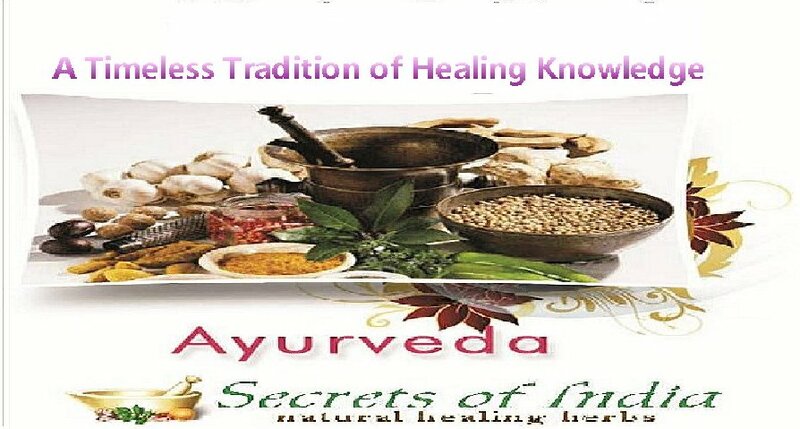 Dig for information about ayurveda and only use it when you are comfortable with the information you get. As effective as it is, its still your life and you want to be careful. So, do your research well. Some people may have reactions to even natural substances. Be sure to ask questions about any possible side effects in using any product or practice of Ayurveda Medicine especially if you take other medicine.